Possession Arrow Indicator (PAI-001) - Yuan Chi Sports Enterprise co., Ltd. 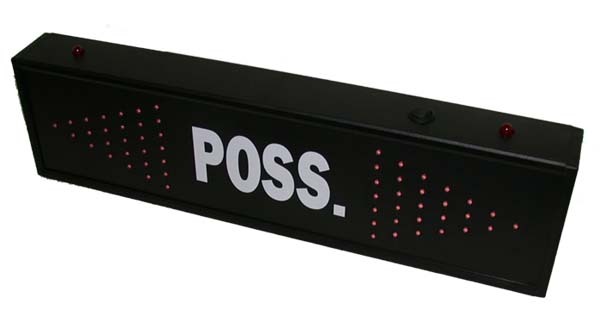 Durable possession arrow indicator conveniently sits on any table top. Tough, Strong plastic cover. Lightweight for easy portability. Simply plug in and flick the switch. Small light on top possession indicator for 360 degree visibility.